Arts, and so the use of it was practically banned and liable to the severest punishments. Later on gipsies picked up a smattering of it, and, in most instances, further degraded it by their ignorance, till it fell into still greater disrepute. 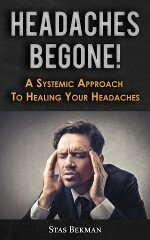 In the latter part of the Middle Ages an effort was made by learned men to restore it to its former dignity, and so on till the present time, when, by the still further efforts of clever men and women, the science has been rescued from oblivion, and set out clearly once more. This science is divided into two sections: (1) Cheirognomy, which deals with the general outline, shape, texture, and formation of the hand and fingers and nails, and which enables one to read the character of the individual. (2) Cheiromancy, which deals with the lines and marks on the palm, and enables one to read the past, present, and future events, habits, and actions. It must be clearly understood, however, that no one peculiarity in formation of the hand can be read alone; it must be taken and considered in the general judgment. The same applies to the lines. No one can be taken singly and said to mean such and sach a thing; it must be taken in connection with, and in full consideration of, all the perseverance, honesty, and a love of law and order. other lines, otherwise we should have an entirely wrong reading of the hand. Fig. 1. - The Elementary Hand. This is the most primitive type and is found only in extremely cold countries, such as Siberia. Every formation and every line of the hand must be studied separately first, and then taken in consideration with every other line before a correct reading can be given. These types can still further be subdivided into another seven varieties by a combination of the types. The Elementary. - This is the lowest and most unformed of any. It is not often seen in the pure type; it is found among primitive races in extremely cold countries, as Northern Russia, Siberia, and Iceland. In a slightly more developed state it may be found among all nations, but is always representative of an undeveloped mind, a person of dull intellect, of no ambition, whose animal instincts prevail. In shape the palm is thick, heavy, and coarse, with very few lines on it, the fingers short, heavy, and clumsy, and the thumb high-set, short, thick, and generally square. Such a person would possess a violent temper and a low cunning, but not reason. 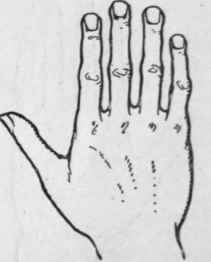 The Square type is easily recognisable, for the whole hand has a look of squareness, the palm both at the wrist and the base of the fingers being square, the fingers square-tipped, whether they are long or short, and the nails the same. The qualities belonging to such hands are great perseverance, strong principles, and honesty. Their owners are lovers of law and order; indeed, being far too bound by custom, they would never venture or risk anything, and will never believe in anything they cannot understand. They possess great strength of will and much determination, but, as a rule, are not quarrelsome, having too great a regard for peace and order. The Inventive Hand The Spatulate. 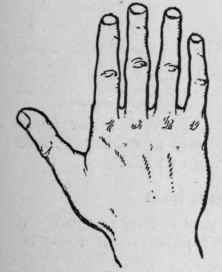 - So called because the palm as well as the fingers resemble a spatula that is, the palm is either unusually wide at the wrist or at the base of the fingers. This hand gives, as a rule, a love of independence and energy; it gives originality of ideas, and a restless spirit. Its owners are never content to take other people's ideas and opinions, but must always form their own. Inventors and great travellers generally possess this shaped hand. The Philosophic hand is usually long and angular in shape, the joints of the fingers being developed; the fingers are bony and the nails long. Its owners are always seeking wisdom in some form or another, they delight in studying mankind, and invariably know every little peculiarity . They are ambitious, but chiefly in being distinct from other people, and are fond of mystery. Deep and careful thinkers, they are silent and secretive, and have the power of intense patience. This type of hand is largely found in Oriental nations. Fig. 3. - The Spatulate Hand denotes a love of independence, restlessness, and originality. 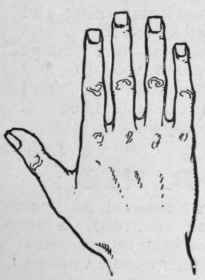 Inventors and travellers usually possess this type of hand.